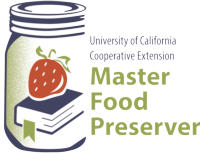 The Master Food Preserver (MFP) program is a public service community outreach providing up-to-date information on food safety and preservation. Find out more about us or more about becoming a Master Food Preserver, click here. Food spoilage is the process of food becoming unsafe or unacceptable for human consumption. Spoilage is normally caused by the growth of microorganisms in foods. Other losses in quality are caused by natural activities in fresh food tissues, for example, the excessive softening in overripe fruit caused by fruit enzymes. Spoilage and quality losses are partially or completely controlled in properly preserved foods. Food preservation is the maintenance of safe and nutritious food for an extended period of time. Examples of preserved foods include properly packaged refrigerated, frozen, canned, and dried products. • The primary objective of food preservation is to prevent food spoilage until it can be consumed. Gardens often produce too much food at one time—more than can be eaten before spoilage sets in. 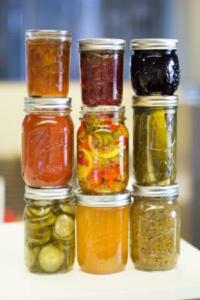 • Preserving food also offers the opportunity to have a wide variety of foods year-round. • It’s economic. The motivation for preserving fresh foods, whether from the garden, farm, or market, often includes saving money as well as satisfying personal preferences. There are many variables, however, that affect the cost of home-preserved foods. The true costs include total supplies, equipment, fresh food, human energy, and fuel energy to process and store food.